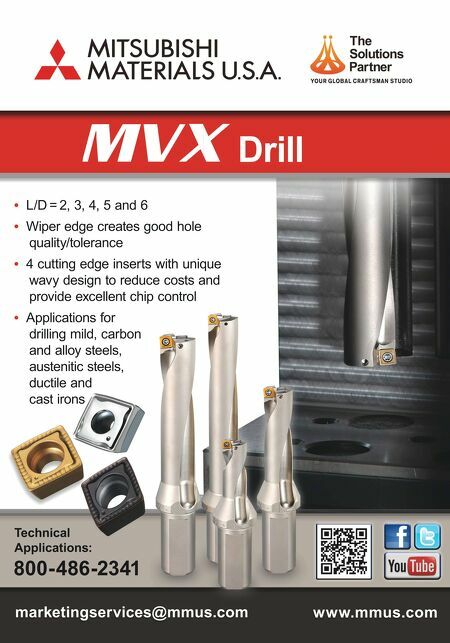 SHOP TALK MMS DECEMBER 2018 46 mmsonline.com Industry News Finding Champions for Manufacturing BY EMILY PROBST | MANAGING EDITOR "Nobody truly understands the opportunities available in manufacturing. To do that, you need to look at the entire picture," says Terry Iverson, president of Iverson and Company (a machine tool distributor and rebuilder in Des Plaines, Illinois) and founder of ChampionNow!, an acronym that stands for "Change How American Manufacturing's Perceived In Our Nation." 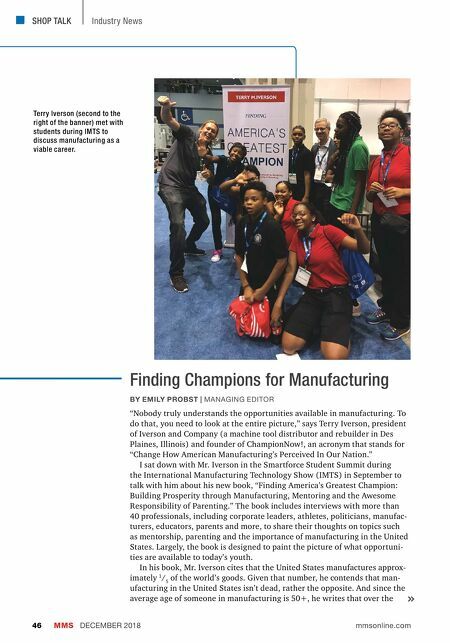 I sat down with Mr. Iverson in the Smartforce Student Summit during the International Manufacturing Technology Show (IMTS) in September to talk with him about his new book, "Finding America's Greatest Champion: Building Prosperity through Manufacturing, Mentoring and the Awesome Responsibility of Parenting." The book includes interviews with more than 40 professionals, including corporate leaders, athletes, politicians, manufac- turers, educators, parents and more, to share their thoughts on topics such as mentorship, parenting and the importance of manufacturing in the United States. Largely, the book is designed to paint the picture of what opportuni- ties are available to today's youth. In his book, Mr. Iverson cites that the United States manufactures approx- imately 1 / 5 of the world's goods. Given that number, he contends that man- ufacturing in the United States isn't dead, rather the opposite. And since the average age of someone in manufacturing is 50+, he writes that over the Terry Iverson (second to the right of the banner) met with students during IMTS to discuss manufacturing as a viable career.